Watch: What Does Genetically Modified (GMO) Mean? From the advent of agriculture, farmers propagated crops using open pollination. More recently, hybridization and genetic modification have been introduced. Open Pollination is the most basic propagation method: simply letting plants go to seed and saving those seeds to replant the next season. All heirloom crops were developed this way. Occasionally mutations would occur naturally, and if they produced a desirable trait—bigger fruits, hardier plants, earlier ripening—farmers kept those seeds and new varieties were developed (aka natural selection). Hybridization began in the 1920s. 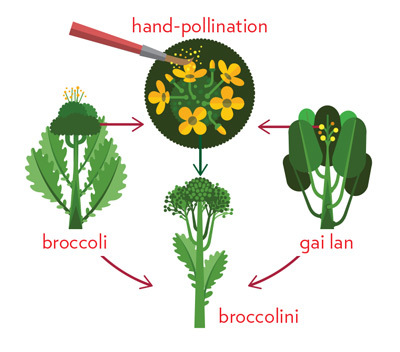 Two plant varieties (or two completely separate plants, such as broccoli and gai lan, shown left) are crossbred and their offspring carry the best traits of both parents. 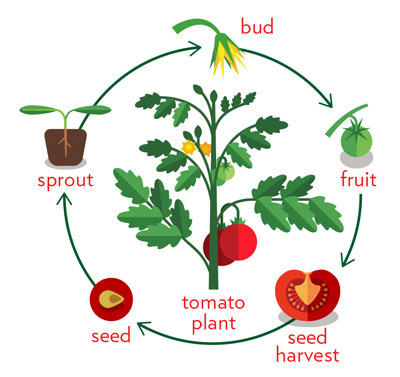 But in the following season, saved seeds from hybrid plants don’t come back “true”—the plants produce a hodgepodge of traits. The only way to grow plants identical to the original hybrids is to cross the same parent plants again. Thus, customers have to purchase seeds every year, which commercial seed companies love. Genetic Modification is a process where scientists remove specific genes from any species—plant, animal, insect, bacterium—and transfer them into any other, something nature could never do. 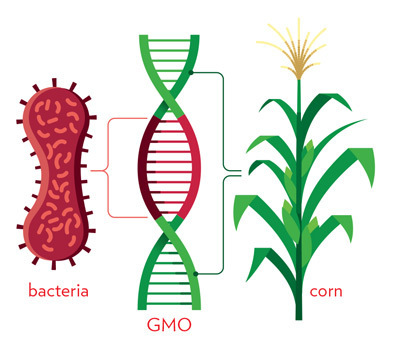 A bacterial gene that naturally produces an insecticide, for instance, can be inserted into corn, and the corn will produce the same insecticide. GMO, GE, GM, transgenic and genetic modification all mean the same thing. GMOs: Are They Safe? What Are The Pros and Cons? How Do You Know What Foods Are GMO-Free? Should GMO labeling be a law?